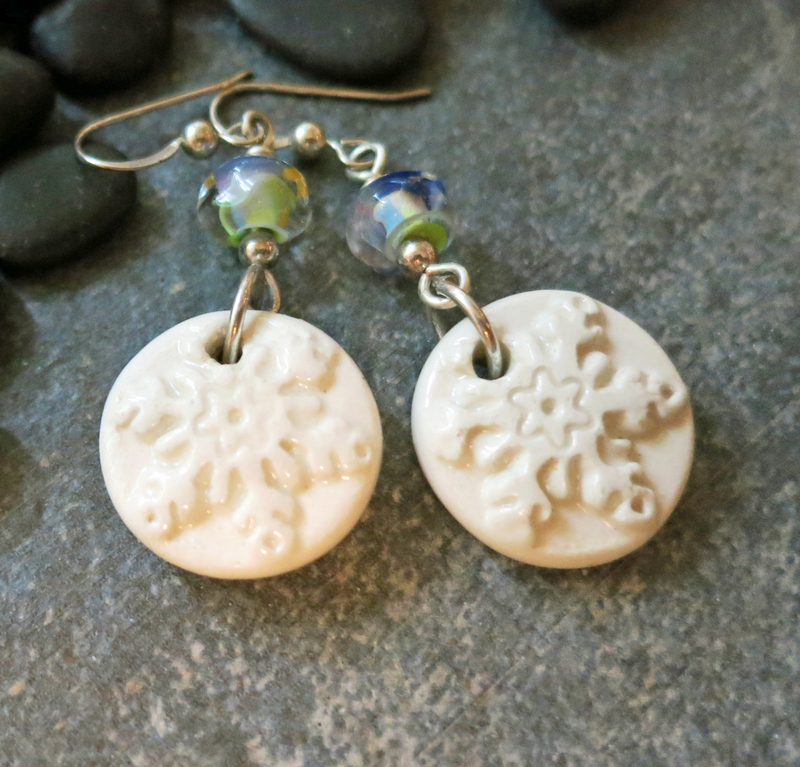 These lovely white snowflake earrings will put you in the mood to take a winter walk in the snow. 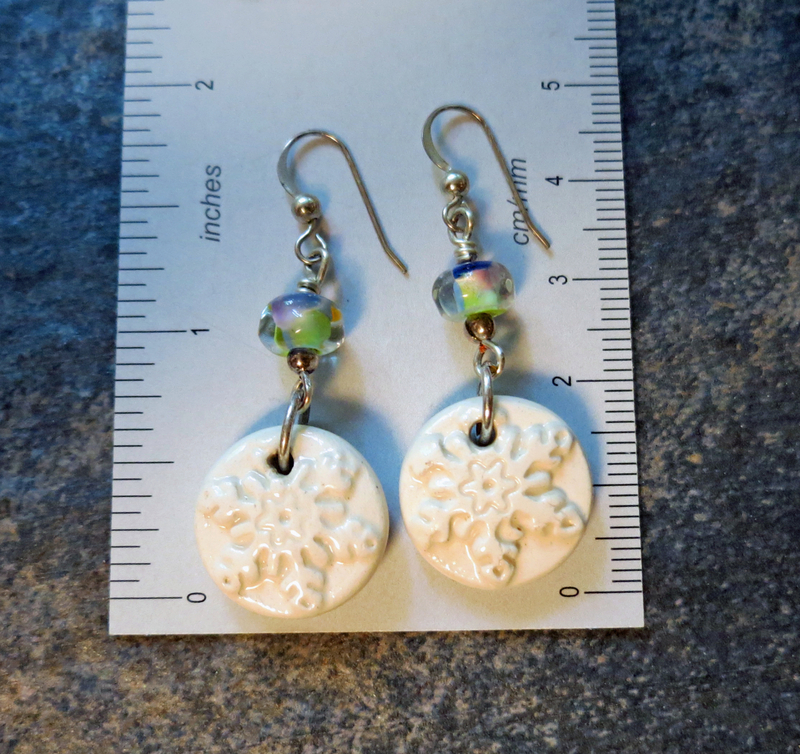 The “Let It Snow” earrings feature handmade lampwork glass beads with lovely swirls of blue, lavender and green. 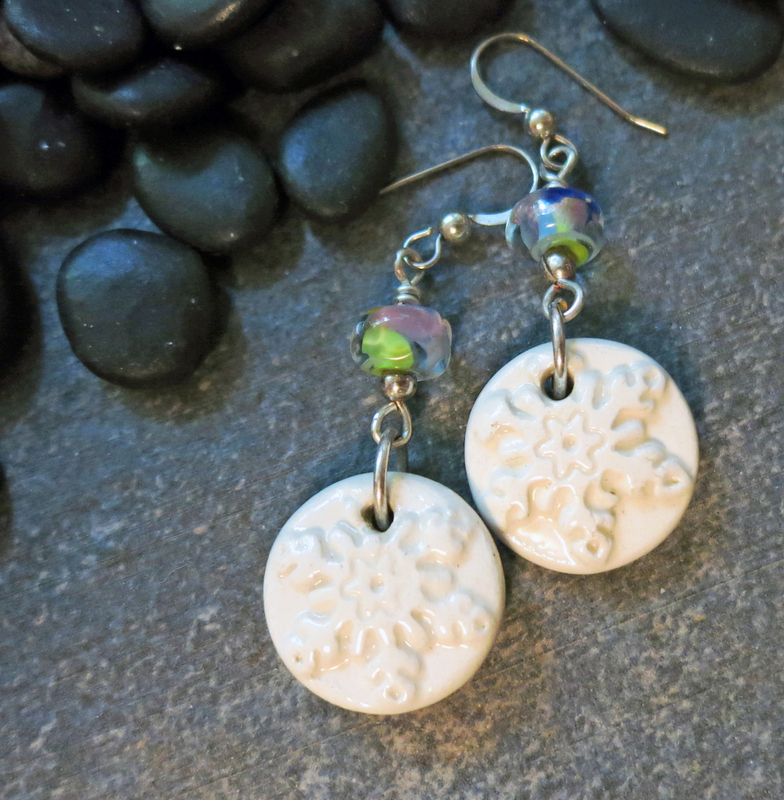 Frosty white, handmade ceramic snowflakes dangle below the glass beads. 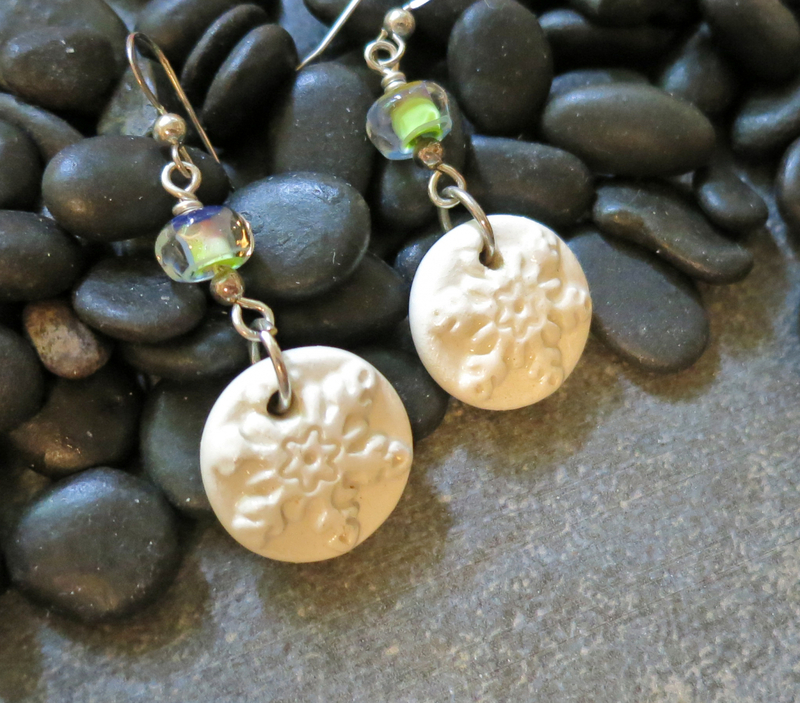 These earrings will pair well with almost anything in your closet. 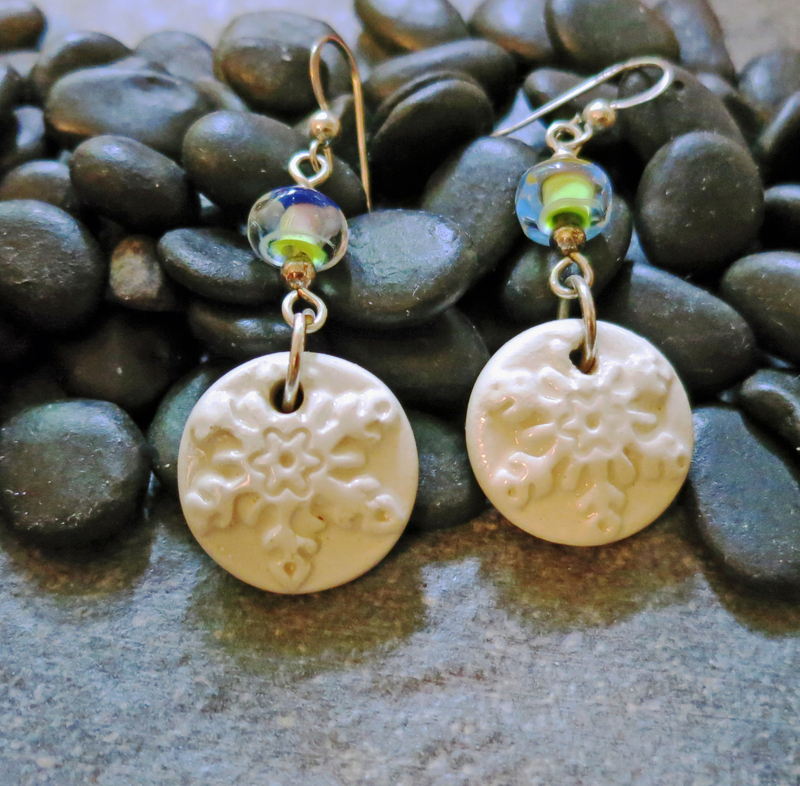 Perfect for a Christmas gift; the “Let It Snow” earrings are a great accessory throughout the winter. About 2 inches (5.1 cm) long from the top of the ear wires.